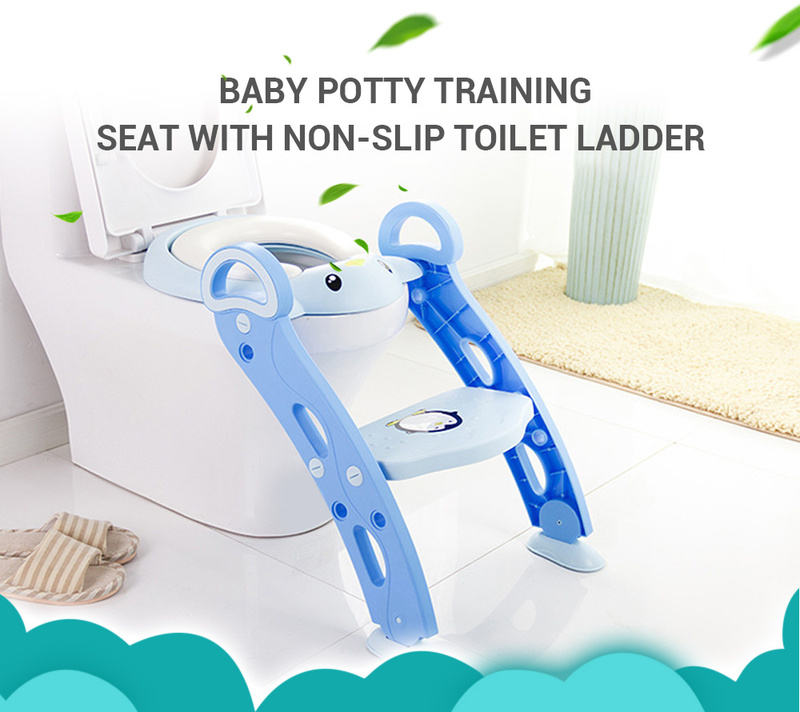 This Baby Potty Training Sear Toilet Ladder helps your boys or girls learn to use toilets independently and get rid of the urinal. Multiple anti-slip designs certainly guarantee children\'s safety. Take it with you, see your babies\' growth. - Ergonomic design. There are 6 non-slip pads on the bottom of the seat which make the seat fit an adult toilet very well. The anti-slip floor pedals bring your children security on the potty they can feel. 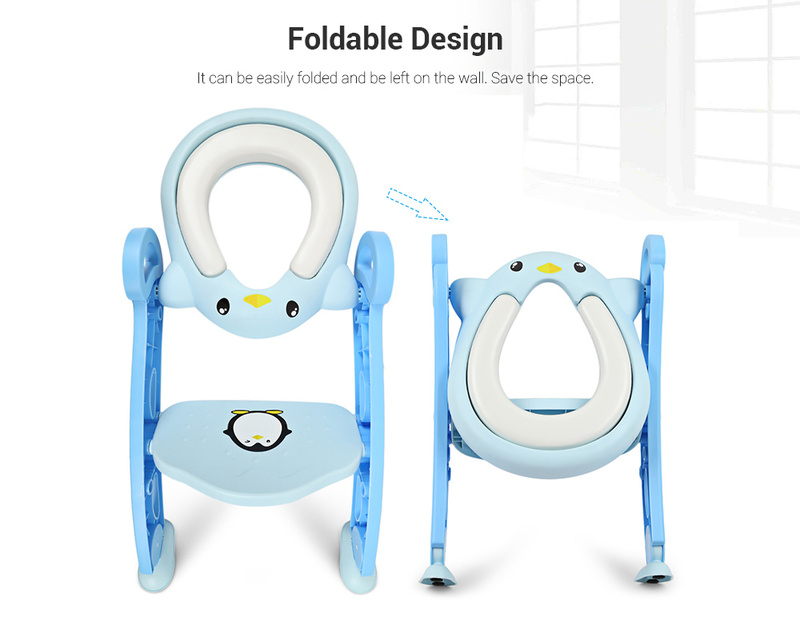 - It can be easily folded and be left on the wall. Only occupy a little space. 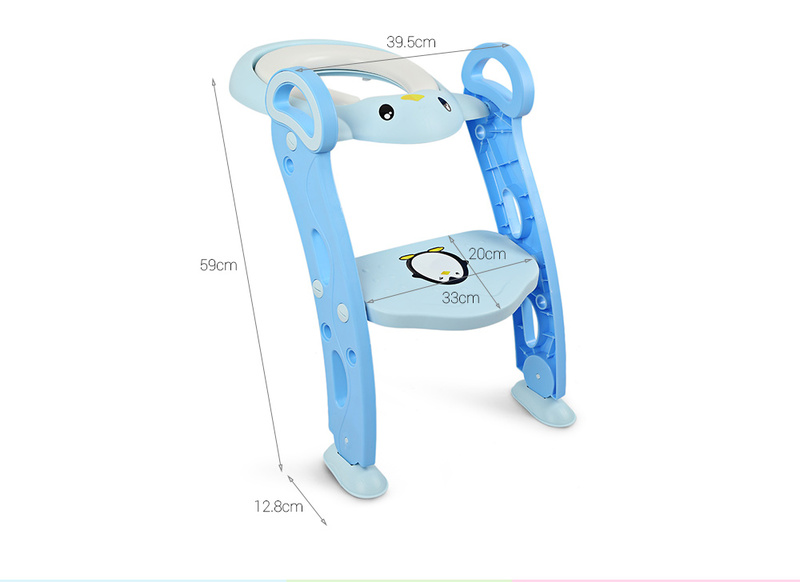 - There are two adjustable height levels. 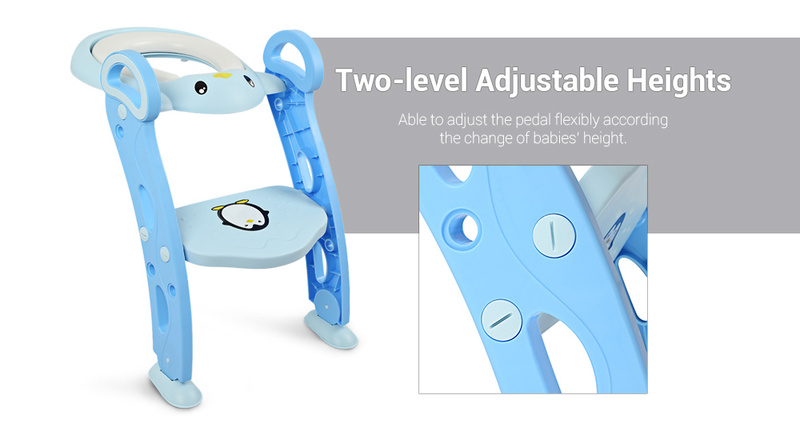 Able to adjust the pedal flexibly according the change of babies\' height. 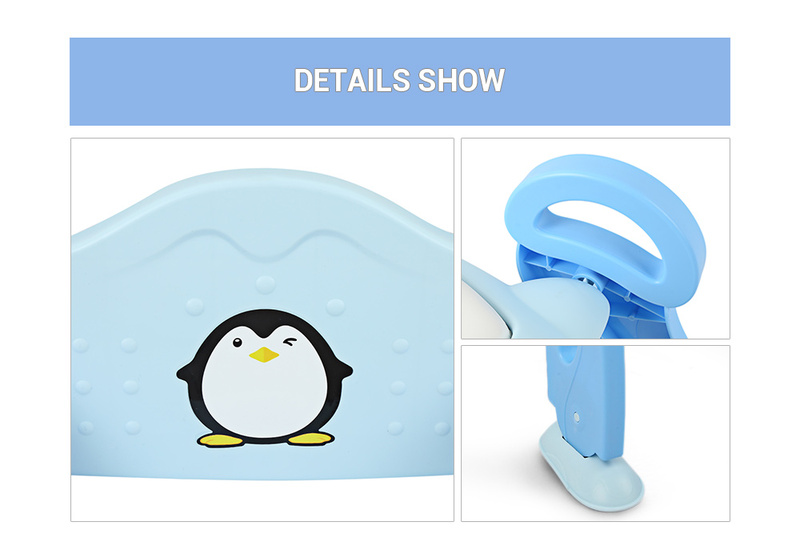 - The soft seat cushion brings your kids comfortable touch feeling. 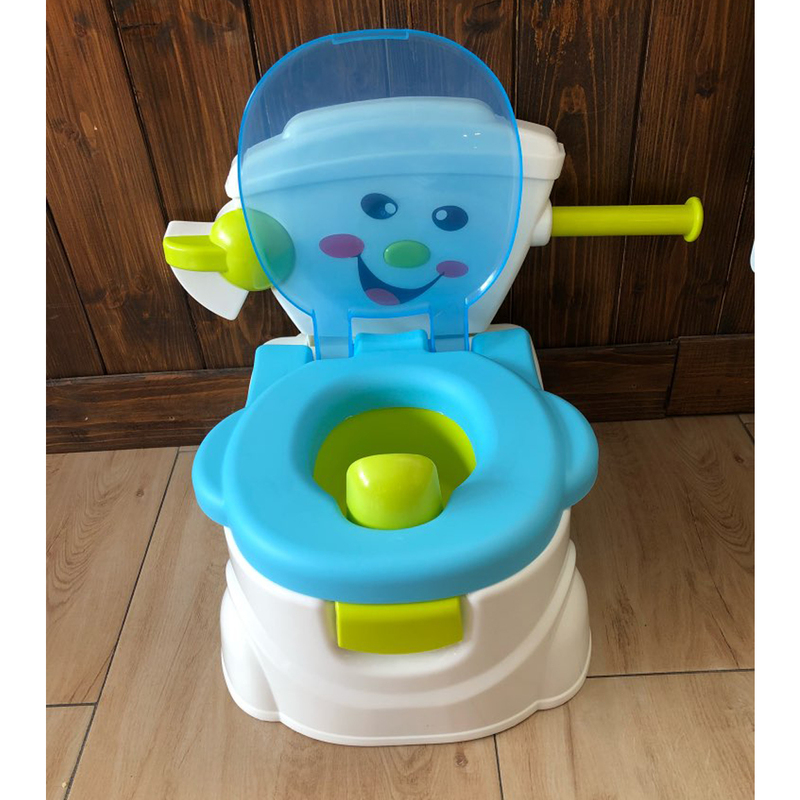 - Suitable for children who are going to use toilets independently.